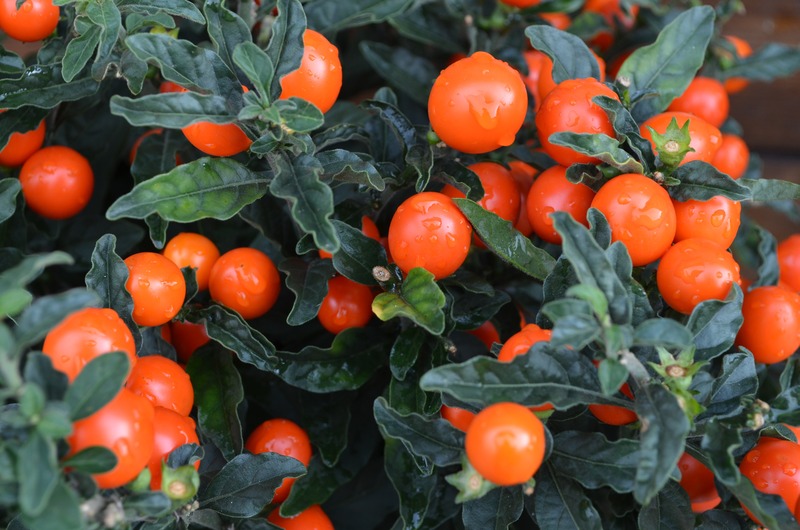 Intensity mainly affects the overall yield of your crop. 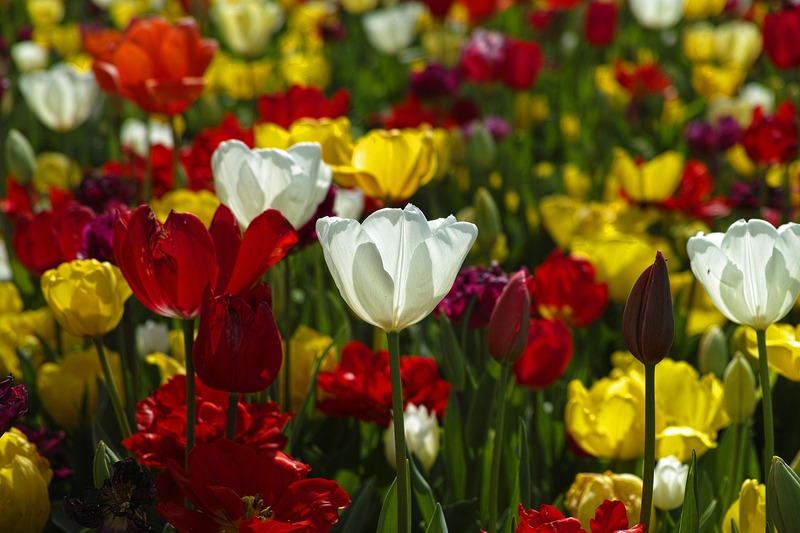 The quality of the spectrum mainly affects the quality of the plants structure, tastes and/or smells. 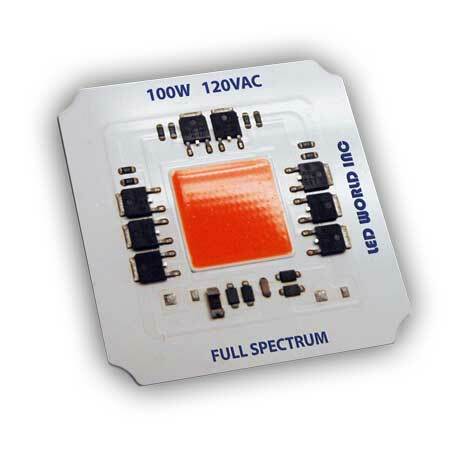 Ultra Violet (UV）light is broken up into three sections within the electromagnetic spectrum. 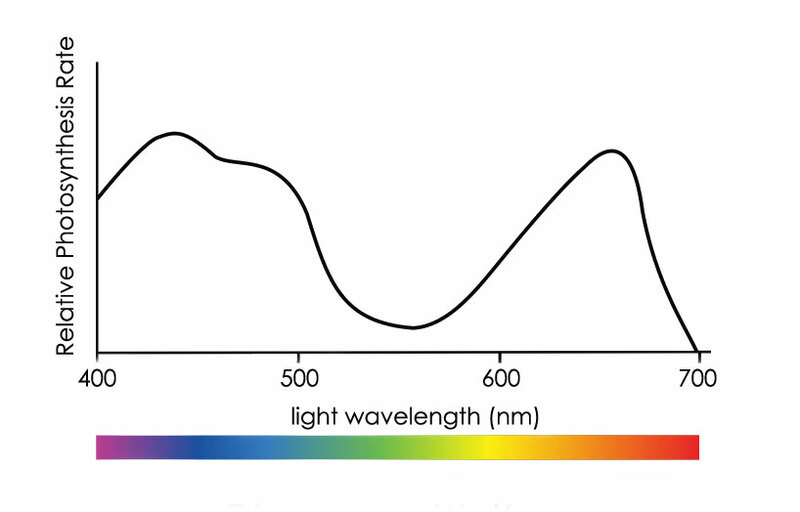 UV light is on the far left section of the spectral charts. What is R & B ratio? 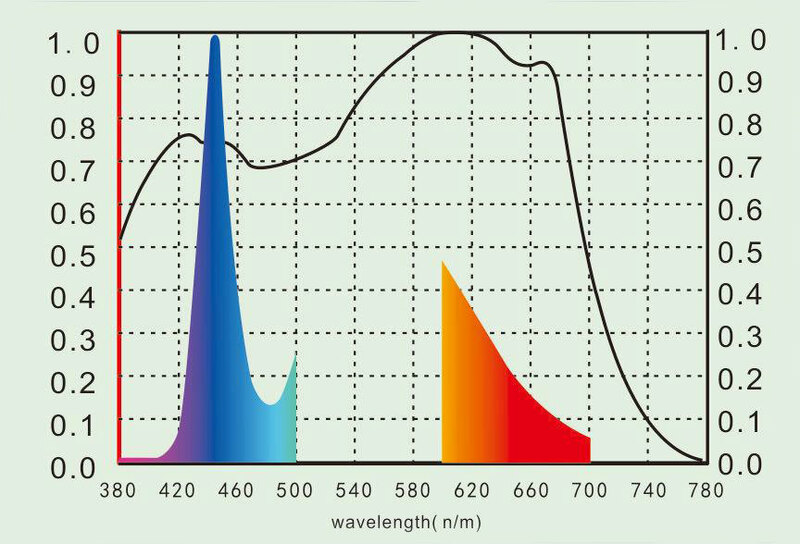 Red/Blue Ratio is to check the PPFD ratio between Red part (600-700nm) and Blue part (400-499nm). What is PPFD and YPFD? How PPFD and YPFD numbers represent in terms of plant growth. The McCree Curve represents the average photosynthetic response of plants to the light energy. 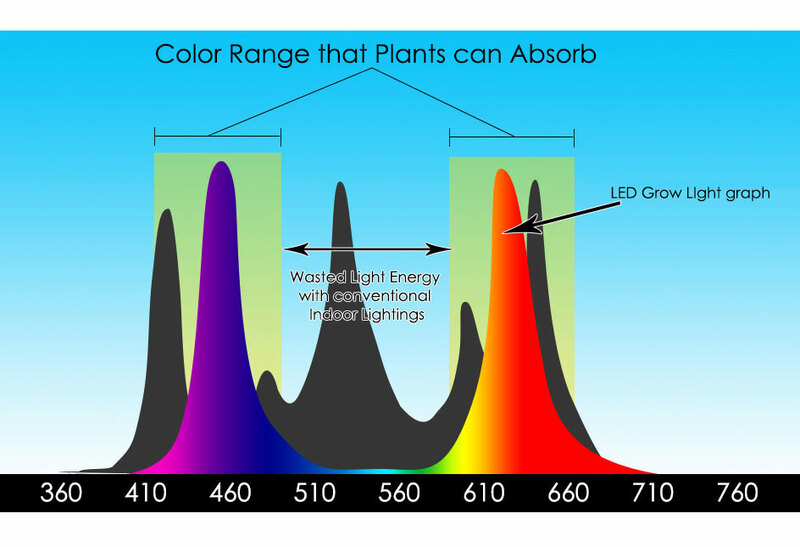 Is your Grow room light optimised with LED Lighting? LED Grow World's full spectrum optimized LED Lighting products provides better control over your grow environment, higher yields and lower operating costs. 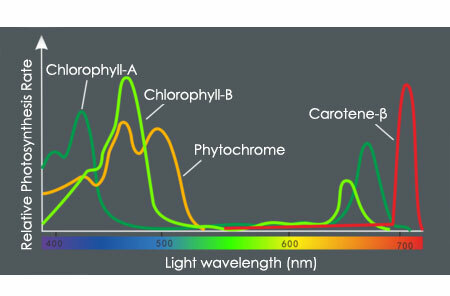 Our new LED Horticultural LED COB chips are light spectrum optimized for all stages of plant growth.